Editor’s Note: Author Kimerley Laws can be followed at The Embiggens Project. As a surrogate mother, your friend has done an amazing thing. She has helped to bring a new life into the world, and she has provided a childless couple with the opportunity to become parents. You thought she would be happy, but instead, she seems withdrawn, moody, exhausted, and almost always on the brink of tears. Your friend is suffering from Postpartum Depression. The surrogate mother is in a unique situation in that while she may feel detached from the baby that she has delivered, she may miss the relationship that she has developed with the Intended Parents. As the Examiner‘s “Surrogacy and Postpartum Depression” states, “because communication usually ramps up near the end of the pregnancy, with more phone calls, appointments, and plans, IPs and their surrogate can be closer emotionally than ever before.” This leads to the surrogate feeling a significant loss after giving birth. But, thankfully, there are things that her friends–like you–can do to help. Be supportive of her therapy. If she requires transportation to attend her therapist, make yourself available. She may also need to talk after her session, so let her know that you are there for her if she needs to talk. Be an ear. It is important to note, first, that ears don’t talk. They simply listen. According to “4 Ways to Cope with Postpartum Depression,” one of the most important things is for her to share her feelings as “the worst thing anyone experiencing PPD can do is keep all of her thoughts, fears, and anxieties to herself.” Encourage her to talk, while you simply listen. Do not offer advice or try to “fix” her problems. And do not bring your own experiences with pregnancy into the picture. Offer respite. If the surrogate mom has children, she may be finding it difficult to cope with both her family responsibilities and her Postpartum Depression. Offer to take care of her kids, so she can get out and go to the gym, read a book in the park, or go shopping. You could even take them for the night, so she can reconnect with her spouse. Psychology Today‘s “For Dads: What to Do, What Not to Do When Your Wife has Postpartum Depression” offers advice for spouses that can also be carried out by friends like offering to help out around the house, dropping off an order of take-out, helping her field visits and calls from her family, or throwing in a load of laundry. Get her outdoors. Being cooped up in the house, staring at the same four walls is not healthy for anyone, particularly someone who is suffering from Postpartum Depression. Encourage her to take walks with you, sit on the patio at an eatery, or spend time at the park or the beach. The Baby Center’s “Postpartum Depression and Anxiety” also recommends that your friend goes out on a shopping trip just for herself to buy something new and give herself a boost. Provide healthy food. It is important for anyone suffering from Postpartum Depression to eat a healthy and balanced diet. “How to Help a Friend Going Through Postpartum Depression” suggests arranging for a group of friends and relations to alternate hot, nutritious meals for her each week. Be sure to find out about any allergies or food sensitivities that your friend and her family may have. Not only will this remove a burden from her shoulders and ensure that she is eating well, but it will also give her something to look forward to each day. Make sure she’s pampered. Let your friend know that you are thinking of her by giving her thoughtful little gifts. A bath bomb, a pretty shade of nail polish, an herbal tea, or a plate of homemade scones are great examples. Also, sending her quick text messages to check in will remind her that she is not alone. With the correct treatment and the love and support of her nearest and dearest, your friend will be back to her usual happy and bubbly self. It does take time, so do not grow impatient with her or let your support dwindle. 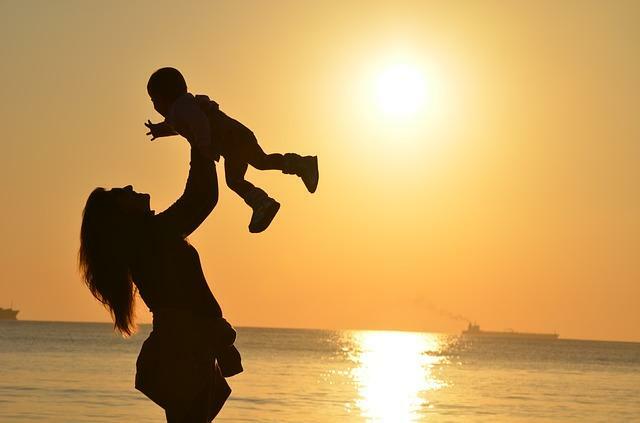 As “10 Things to Aid Your Recovery from Postpartum Depression” states, “people with Postpartum Depression do better when they feel connected to others.” Your friend has done a kindness by serving as a surrogate mother. And now you can do something kind for her. Have you suffered from Postpartum Depression? How did your friends and family contribute to your recovery? Kimberley Laws is a freelance writer, avid blogger, career counselor and High School English Teacher. You can follow her at The Embiggens Project and Searching for Barry Weiss.